I attend alot of tradeshows. At the end of the week, I am attending Surf Expo in Orlando, Florida. There will be apparel, accessories and footwear exhibitors in outdoor categories like resort, surf, swim and skate. My company will be exhibiting for the first time and I am really looking forward to it. Tradeshows always give their attendees ugly, plastic, generic badge holders…So I thought it would be fun to make one to wear. 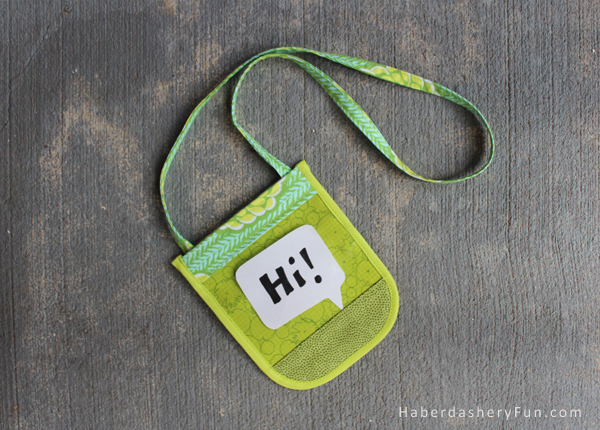 Here is my easy DIY and how to make a whimiscal and colorful badge holder. 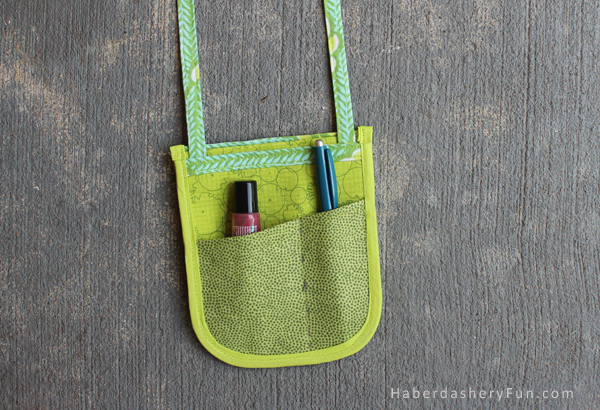 I was inspired by the outdoors and nature, so I incorporated different greens and floral themes into the holder. I had an old and super ugly badge holder from a previous tradeshow and used it for inspiration. 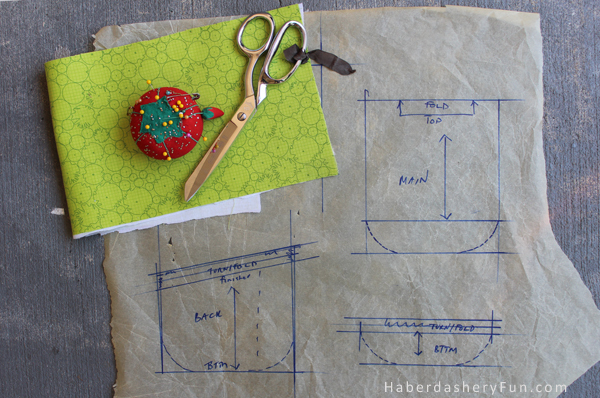 I knew what I was looking to make, so I sat down and drafted the pattern pieces. If you chose to make one for yourself, envision a very large business card holder with a clear vinyl front to hold your name badge. On the back, you can make slots to hold tradeshow essentials – business cards, pen, lipgloss and money/credit cards. Before we get started, here are a few things to consider..
Sewing the binding onto the vinyl wasn’t easy!! I googled how to sew binding and found tutorials on how to sew binding without “cursing”!! I second guessed myself here.. until I placed small pieces of wonder tape under the binding to hold it to the vinyl. Hello. Easy. Lay everything out to give an idea of how you will stack them togther. Assemble the back. If you made slots, mark for pen pocket. Pin in place. Place into your sewing machine and topstitch down. At this, it is also a good idea to edgesitch around the back. This will hold the pocket down and help later when sewing on the binding..
Cut binding to size. Pin down in place. Roll the top edge to clean finish. 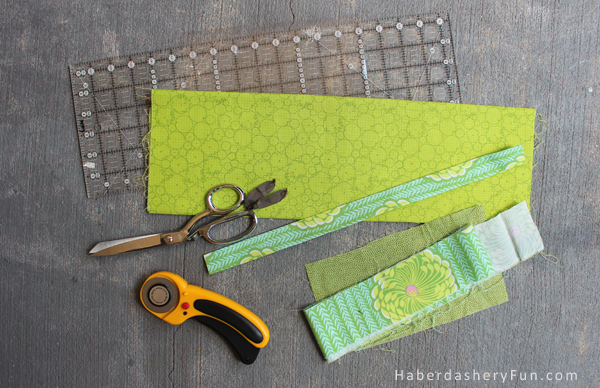 Place into your sewing machine and stitch around the outside edge. As noted above, the perfect trick – cut and adhere small pieces of wonder tape. Note: At the time of taking my pictures, I couldn’t decide on the binding color..Hence the 2 sets of binding. I sat with it for a few hours and decided on the lighter lime green. I used 3 different fabrics for my holder. The straps are made from Amy Butler and the main piece was made from Carolyn Friedlander. I love love LOVE these fabric designers!! Well, that’s it for today. Happy sewing. « DIY.. Straps, Straps and Straps! AWESOME and cute at the same time. i do alot of trade shows and have lots of helpers and ideas like this catch peoples [ clients / buyers] eyes. you tend to remember the seller / booth holders name and it increases sales while giving a notch above in presence. well done….i will take 50 !!!! great project! I like the drawings too.